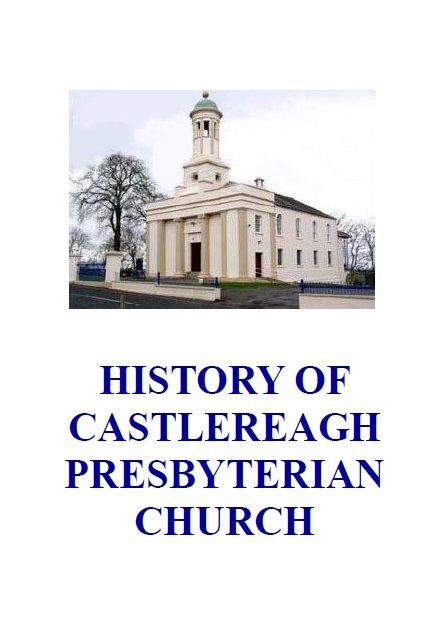 We have recently produced a comprehensive account of the History of Castlereagh Presbyterian Church. Click below to view. Castlereagh Presbyterian Church, in the townland of Castlereagh and the civil parish of Knockbreda, dates from about 1650, and was originally a joint charge, with one congregation worshipping at Knock and the other at Breda. The original designation was Knock and Breda. 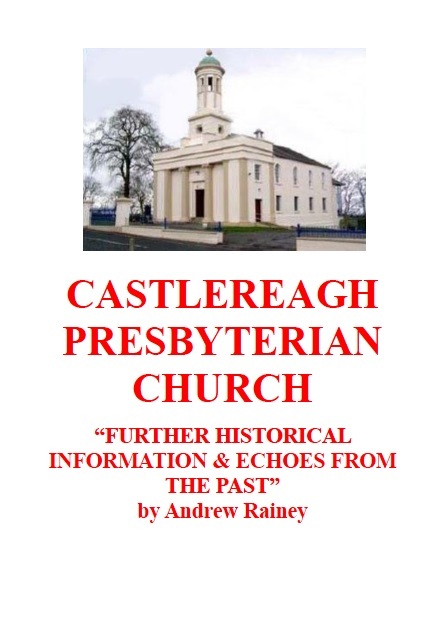 The Church was known by this name for about 70 years after it was founded, but when the two sections of the congregation united, and erected a church on the present site, it was subsequently known as Castlereagh. For almost 360 years the congregation has been served by only sixteen Ministers, with the Rev. Mervyn R. Burnside B.Sc. being the most recent addition to the ministerial succession, after his installation on 9th February 2007. It should also be mentioned that Castlereagh has a unique record, in that three of our ministers have held a Doctor’s degree, obtained by examination and thesis – one in Philosophy, another in Law, and the third in Theology. The first church on the site was built about 1720. There is a stone inside the entrance to the present church building with the inscription “Enter ye House of ye Lord thy God with humility Built Anno Dom 1754 Ye Revd Sam Alexander, Minister”. The present church building which was opened in 1835 – probably the second or third on this site – was designed and erected under the supervision of John Millar, an architect from Belfast, in Greek Revival style with ionic detailing and today has an Historical Listing as a building of special architectural and historic interest. It was the first Presbyterian house of worship in Ireland to have a tower placed on it, and our commanding site, makes it very conspicuous from many parts of the city. The adjoining Cemetery has almost 1100 grave plots and the memorial stones date back to around 1778, and it has been in continuous use ever since. The graveyard is in good condition and all the stones are easily read. Although their are no new plots available, their is provision for a limited number of burials for existing plot holders. See Fees and Rules. The Baptismal Registers date from 1799 and the Marriage Registers from 1816, though the Burial Register is modern.